EABooks Publishing is an ebook, print-on-demand, and audiobook partner for authors looking for a way to keep more of their profits and to capitalize on the growing do-it-yourself, Partnership Publishing model. EABooks does all of the technical and behind the scenes work so authors can focus on what they do best—writing. Whether an author wants an ebook on a Kindle, a few print copies to sell to family and available on Amazon, or an audiobook, we are the premier partner in making those dreams come true. We're also an option for those successful authors wanting to go hybrid, but who don't have the time to do it all themselves. For more information, visit EABooksPublishing.com. Cheri Cowell, is the owner/publisher. She is both a traditionally and independently published author, is the award winning author of 365 Devotions for Peace (Zondervan), and Parables and Word Pictures Bible study (AMG Publishers). Her other books include Direction: Discernment for the Decisions of Your Life (Beacon Hill), and the One Story, One Mission, One God Bible study. She's published over 500 articles and countless devotions. 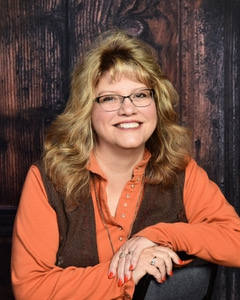 With her experience as an author and as a publisher, Cheri has a unique approach and grace when working with authors to bring their dreams to reality. Do you hate the idea of self-promotion? Do you wish there was a way to market without focusing on you and your book? There is. This workshop will give you the tools for turning marketing into ministry and is based on the newly released book by the marketing team at EABooks Publishing. Get the Marketing Pyramid and learn the two questions that will change how you approach marketing. Do you have a story to share? Would it make a good memoir? Come learn the do's and don'ts of sharing your story, how to craft a good memoir, and how to get it published.